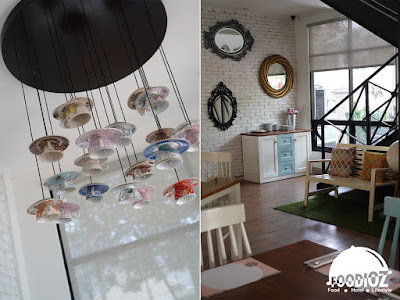 This week i have new recommendation for culinary activity in Jakarta. 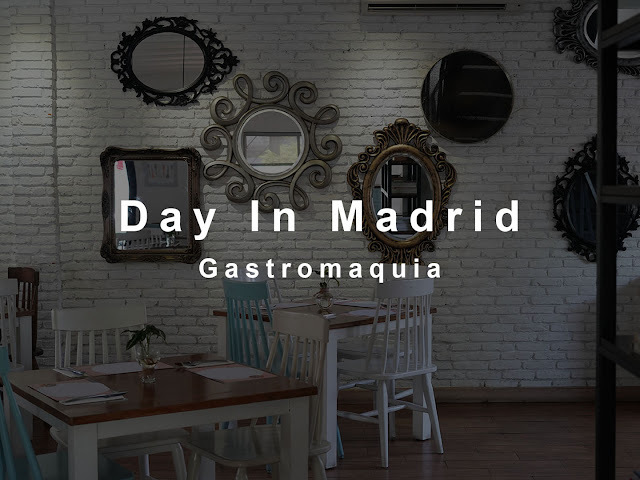 For those of you who never try Spanish food, now Gastromaquia can be an interesting choice to visit. This typical Spanish restaurant located in South Jakarta area has stood for a long time which carries the concept of a modern cafe inspired from a house in Spain. Bright colors dominate the entire room so that it looks cheerful. There is also a second floor area with quite alot of seating capacity. 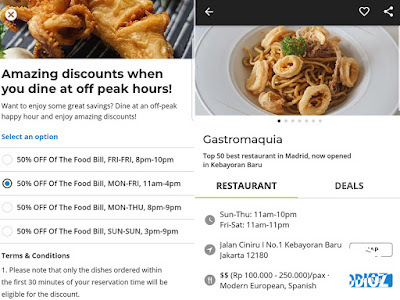 As usual i use the Chope application to make practical reservation. With a super attractive Save Deals feature, i can get a 50% discount for my food. Valid from Monday-Friday, i did make a reservation for 12.00pm during lunch time. With a fast process, i immediately get a confirmation in Chope application in no time. Arriving there, i tasted several signature dishes like Gambas Al Ajilo. 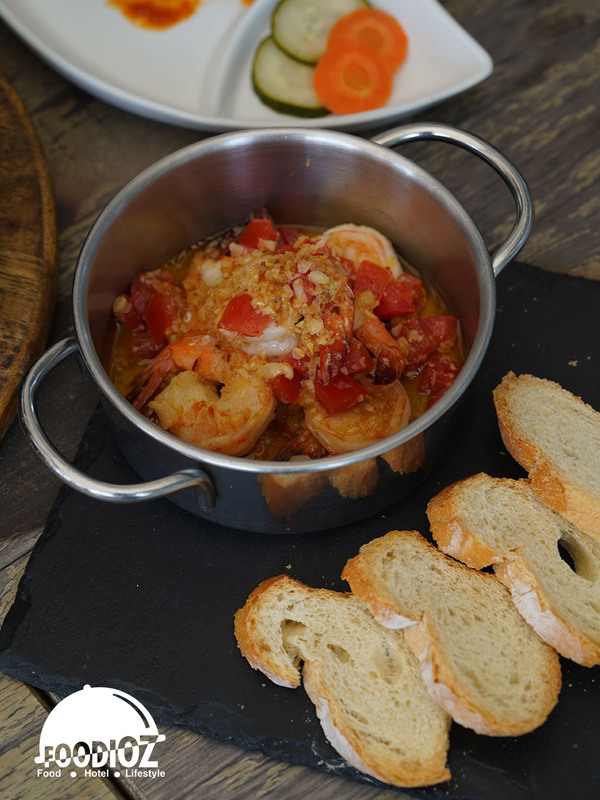 A prawn dish which is processed together with herbal oil, gar lic to produce a fragrant aroma, well concentrated and the right prawn texture. 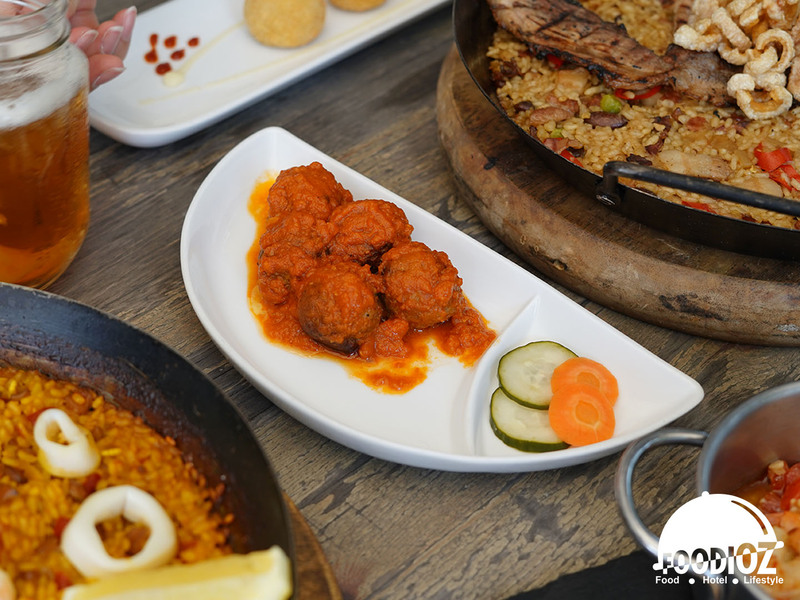 There are also interesting tapas, Albodingas, processed meatballs with thick and savory tomato sauce. 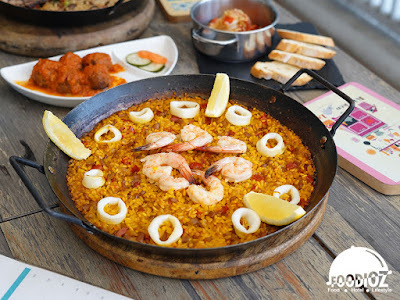 Talking about Spanish cuisines, of course it is familiar with paella rice. 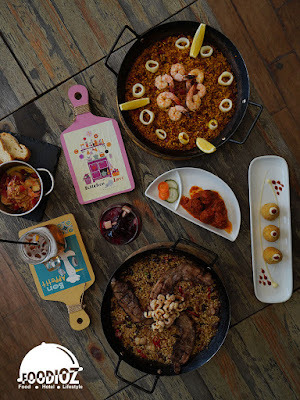 A typical Spanish rice dish with a unique and difference appearance. Seafood paella can be an interesting choice to try, saffron rice served along with seafood e.g shrimp, squid. A large serving can be for sharing around 3-4 people especially for Jakarta society. 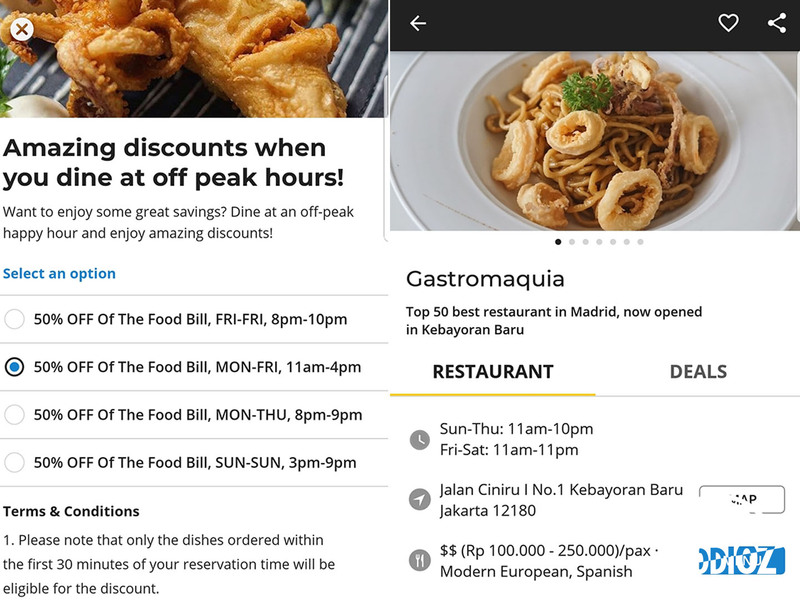 With Chope promotion, it is certainly will be affordable to visit Gastromaquia. 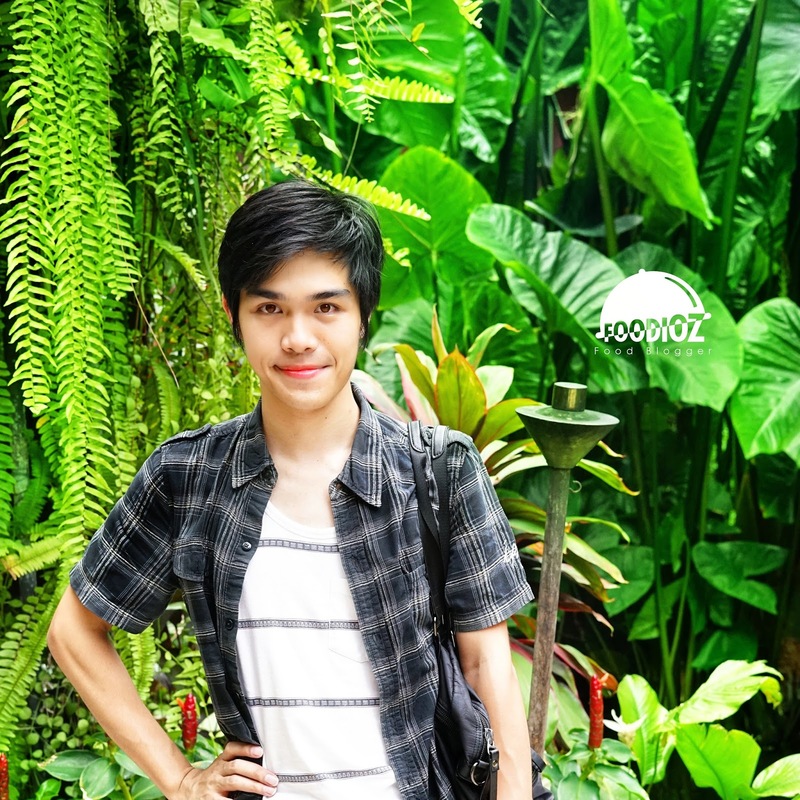 With discount up to 50%, it makes me very happy to enjoy lunch here. Especially with beautiful presentation of food, delicious and very quick serving.